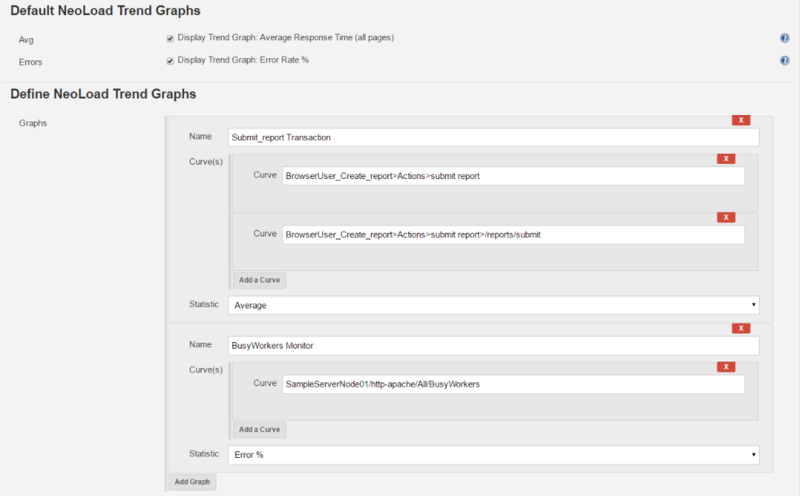 You can also define as many customized graphs as you want from your NeoLoad project. Each graph can display several curves. Select the job where you want to execute a NeoLoad scenario and click Configure. In the Build section, go to Define NeoLoad Trend Graphs subsection. Enter a name to identify the graph. Select the statistic you want to apply on each curve of the graph.